Over the weekend, I got things rolling on the blog restructuring, managing to eliminate over 30 unnecessary categories that are clogging up the place. I’ve still got a long ways to go in terms of making things easier to browse here, but images now work on many pages that were broken. Wanting to get back into the groove of things (and wanting to start using all my bento things just sitting around in my kitchen) I browsed around until I found something to make for a tutorial today. The result is this pink piggie sandwich tutorial. It’s aggravating to me that after all these years, I still haven’t quite mastered lighting, though after looking back at some of my old images, this is still a huge improvement. Please note that I had this pink bread on-hand already, which is some Japanese guava bread that my grocery store has started selling. 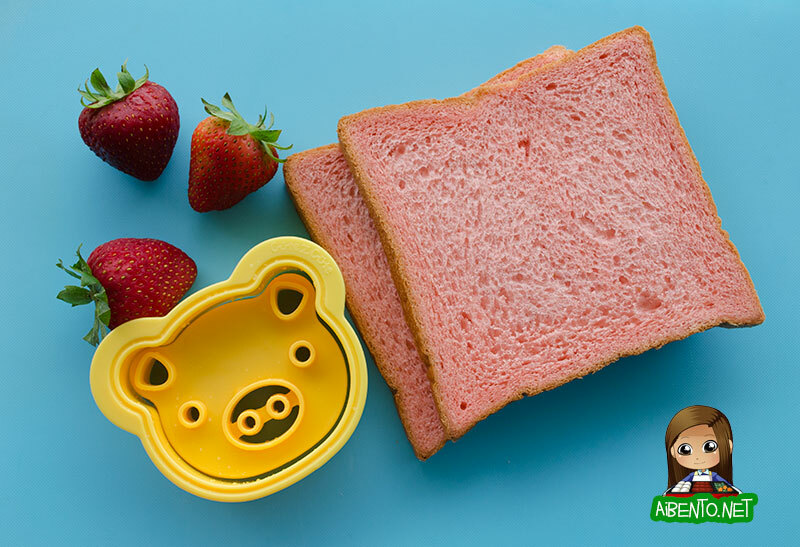 If you really want pink bread, you can make some in your bread machine by adding a few drops of food coloring, something I did for a sandwich bento a couple of years ago. Otherwise, any bread will do. 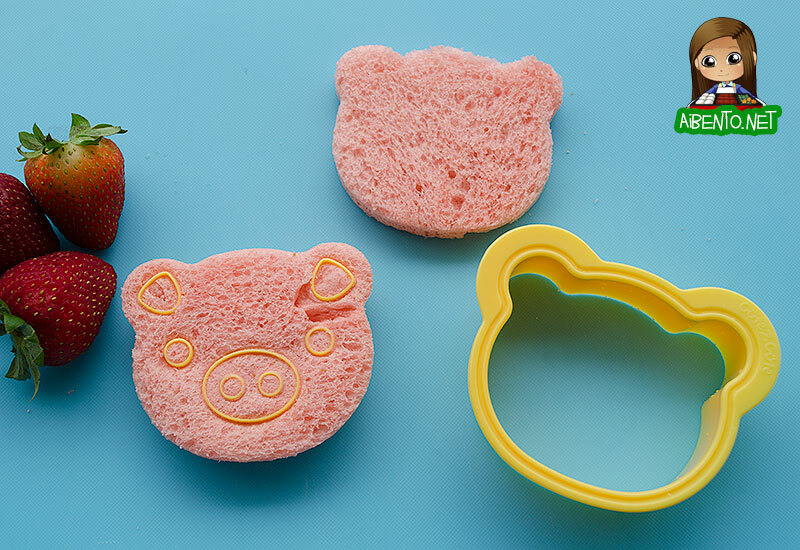 The cutter I used was the CuteZCute animal cutter set, going with the piggie. The strawberries are there because I thought I’d try filling in the details with pieces of strawberry, but that didn’t turn out so well, so now they’re just in the photos for fun. Cut out two of the outer head shape, which is used for all four animals in the cutter set, and for the second one, keep the cutter there as a guide, then slip the piggie cutter in. It may be easier if you lightly moisten the cutter with water to get a cleaner cut first. After this, you can remove the outer head cutter. 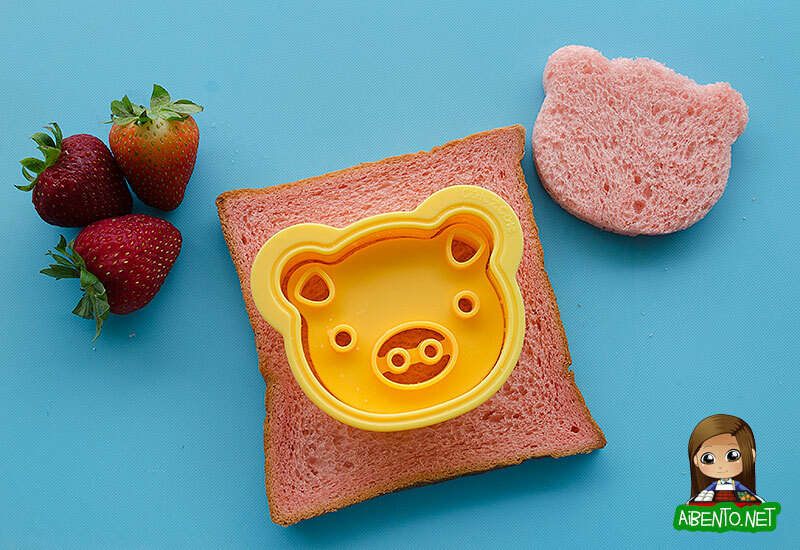 Flip the piece of bread with the piggie face over and press the bread down with your fingers so that you can see the plastic through it. This ensures a clean cut. Next, remove the bread from the cutter. Your little face pieces will be stuck in the cutter, so use the included pick or use a toothpick to gently push them out. The sample on the box has the little nose circles placed into the middle, but I like just putting the nose oval back in. 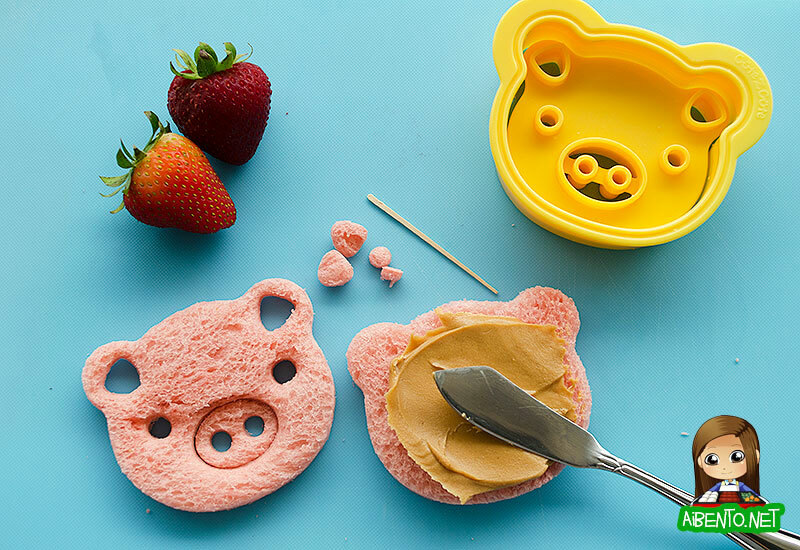 Spread the bottom slice with peanut butter (or whatever you’re making). I may have accidentally eaten a strawberry at this point. 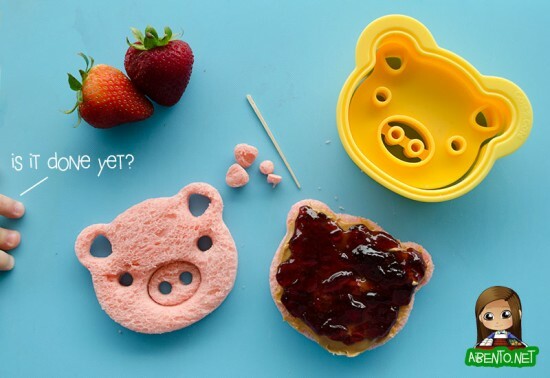 Carefully add jelly on top, making sure you get jelly where the ears are. 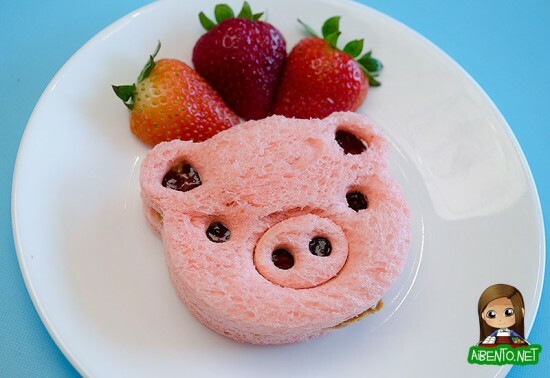 After that, you simply place the piggy face and nose on top and you’re done! Isn’t he cute? I’ll be adding a Flipagram to my Instagram later, so be sure to follow me! I’ve got some white bread too, so I’ll try the kitty cat soon.